Authors as Shirin Ebadi, Chimamanda Ngozi Adichie, Mircea Cartarescu, Deirdre McCloskey, Diamela Eltitt, Dale Bredesen, Yoko Tawada, Zadie Smith, Michael Pollan, Leonardo Padura, Laura Restrepo and Pablo Montoya, among others, stood out from the programme. Music was present with Wilfrido Vargas, Totó La Momposina, the jazz musician David Sánchez and Joselo Rangel, guitarist of the legendary Mexican group Café Tacvba, who talked about his work as writer. 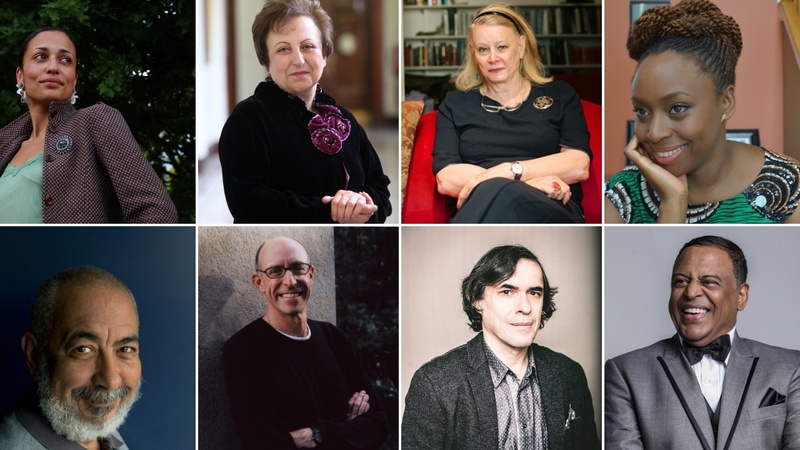 Chimamanda Ngozi Adichie, Mircea Cartarescu, Diamela Eltitt, Álvaro Enrigue, Tamara Kamenszain, Cristina Morales, Leonardo Padura, Philippe Sands, Zadie Smith, Yoko Tawada, Madeleine Thien and Manuel Vilas. Piedad Bonnett, Santiago Gamboa, Jorge Franco, Mario Mendoza, Laura Restrepo, Carolina Sanín and Juan Gabriel Vásquez.